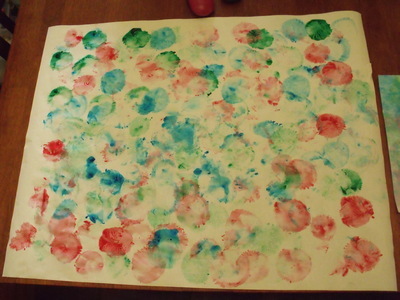 This is a great printing activity for young children. Time: 10 minutes to set up. 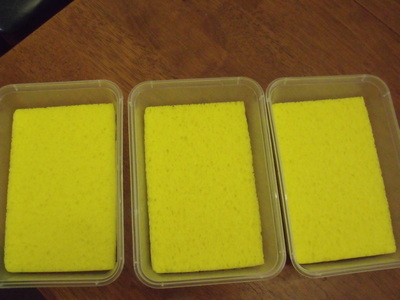 Wet sponges and place into plastic containers. 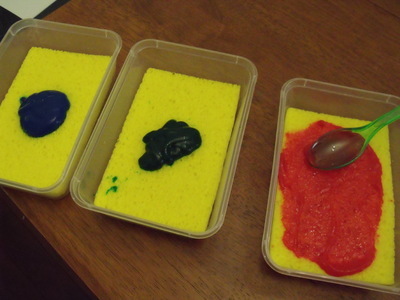 You don't need to saturate the sponges, however you want them wet enough to spread the paint. 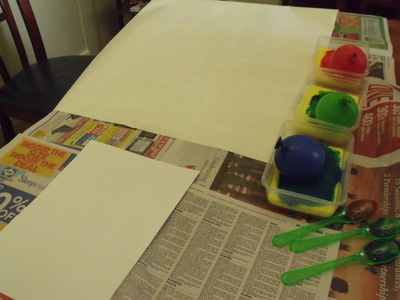 Using a plastic spoon, spread paint over the sponges. 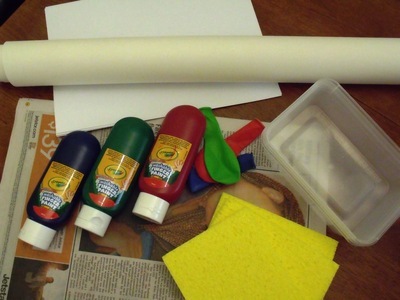 During the activity you may have to top up the paint and water depending on how bright you want the colours. 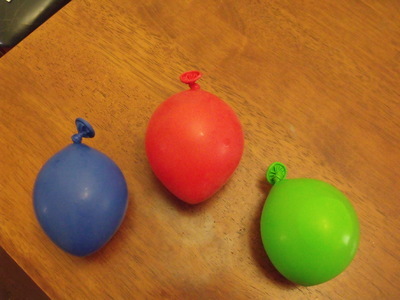 Place balloons back into containers and you are ready to start. 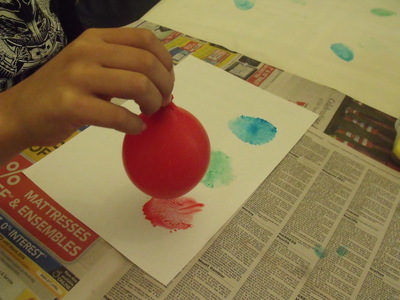 Have your child pick up the balloon and begin making print marks all over their page. Once completed, leave to dry. 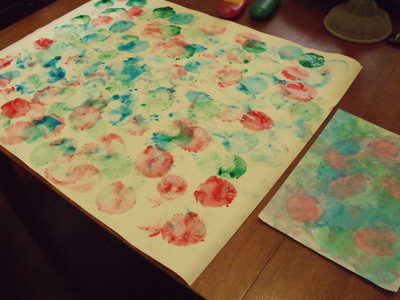 Once your art work has dried there are so many things you can use it for. First and foremost the fridge is the perfect spot to display your child's finished product. However it can be used in other ways. Using a hole punch and some wool, your child can make a beautiful threading necklace. A smaller piece of paper makes the perfect personalised birthday card. It also makes the perfect wrapping paper for any gift. The possibilities are endless.